In a not-totally-surprising move yesterday, Google hinted very strongly that another #madebyGoogle device is in the works and will be announced “down the road.” At the annual Cloud Next event, in a session titled Google Hardware For Business, a juicy hint was dropped that is making it quite clear that Google is not out of the laptop market. Quite the opposite, actually, as it has something coming aimed directly at enterprise customers. The fact that this isn’t just an updated Pixelbook or Pixel Slate is really fascinating. Citing that they believe there are things Google can do with hardware that are different than the Pixelbook and Pixel Slate is worthy of at least an eyebrow raise or two. 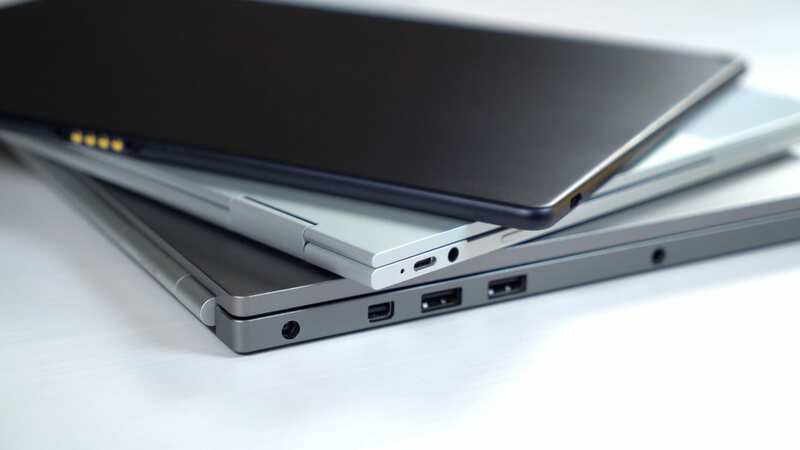 With the Pixelbook being extremely thin and light and the Pixel Slate holding down the tablet angle, I’m not really sure what more could be done differently to assist those on the go: but I’m obviously interested! As an interesting side note, Jacobs’s LinkedIn profile shows that he leads three groups inside Google’s Core Technology group: Pixelbook, Pixel Slate, and another simply titled Emerging. What that could mean is foggy at best right now, but it does seem that another Pixel-branded Chromebook is likely just around the corner that will tackle this emerging, on-the-go work life discussed above. Officially, it seems Google has no announcements on this hardware this week but instead will reveal the details down the road a bit. While this flies a bit in the face of last month’s media hype that Google was exiting the laptop business, this device is likely one that was already in the production phase and would not have been affected by the shift. I’m still of the mind that Google could put out an updated Chromebook every 18-24 months and accomplish what it needs in the Chrome OS space without having to make a myriad of devices. We’ll be keeping a close eye on any further announcements from the Cloud Next event as we are traveling to New York for Acer’s Global Press event this Thursday. At least we know we’ll be seeing some new hardware there!